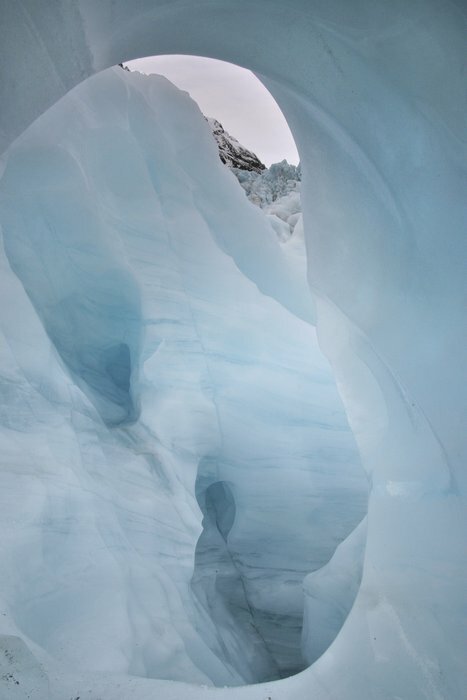 Ice cave in a glacier in New Zealand. Layers of the glacier are visible in some of the walls of the cave. Photo © copyright by Johnathan Ampersand Esper.